Brett A. Dieffenbach was born in Anchorage, Alaska, in 1982. He graduated from the University of Nevada, Reno in 2005, receiving a Bachelor of Science degree in Criminal Justice with a minor in Philosophy. Mr. Dieffenbach graduated from McGeorge School of Law in 2008. He served as law clerk to the Honorable Robert E. Estes and the Honorable William G. Rogers in the Third Judicial District Court of Nevada until March 2010. Mr. Dieffenbach was admitted to the State Bar of Nevada in 2009. 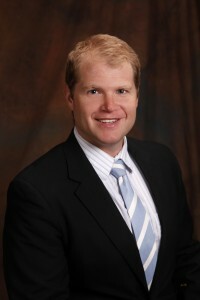 He joined Erickson, Thorpe & Swainston, Ltd. in March of 2010, following the completion of his clerkship. Mr. Dieffenbach is a member of the American Bar Association, the State Bar of Nevada and the Washoe County Bar Association. He is also a member of the Association of Defense Counsel of Northern Nevada, the Association of Defense Counsel of Northern California and Nevada, and the Defense Research Institute.